Competition breeds champions. The WNBA at the midway point of the season has been competitive. Each team is rising to the challenge and the cream is rising to the top all over the league. Here are my favorites for major individual awards. Let’s see who will prevail from the competition as winners. close second in my eyes moreover it can be a possible tie. Parker is amazing. My argument is the Sparks were great pre-Parker. Parker is the first player to win MVP and Rookie of the Year in the same season. Delle Donne who expressed she looks up to Parker can be the second. Their games are very similar. Delle Donne scores at will and rebounds on a team that has the best rebounder in center Sylvia Fowles. She has raised the level of play for the Chicago Sky who are the best in the East at the break. 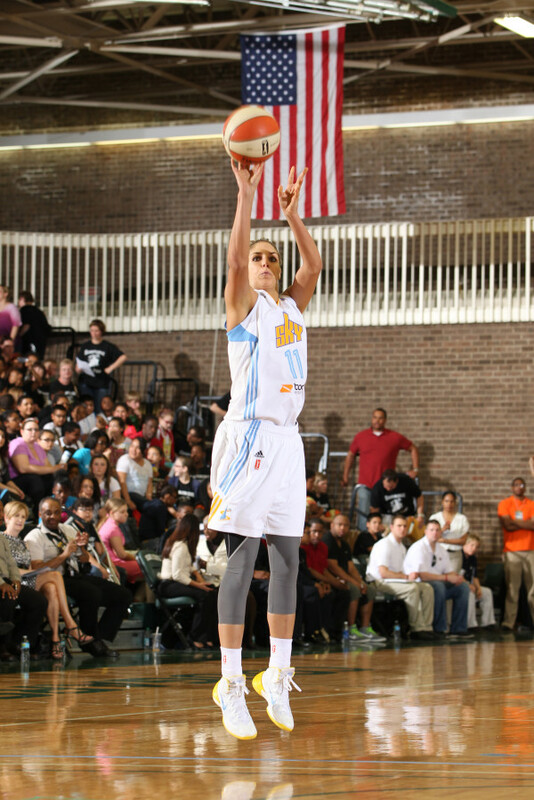 The Winner: Elena Delle Donne. Compared to MVP, this is a unanimous choice. The 3 to see campaign has been great for the WNBA. However I have seen all three women at the college level. No surprise they all have lived up to the hype. Viewership has doubled and attendance is up in the WNBA. Brittney Griner has been dealing with injuries, Skylar Diggins is having her ups and downs in Tulsa, Delle Donne has been in the perfect position thus far. The Sky are title contenders in the EAST because of the All-Star top vote getter. Coach Pokey Chatman has expressed all season how she can place her in different spots on the court. The pro-ready rookie is on the verge of carrying the Sky to their first playoff berth in franchise history. The Winner: Shavonte Zellous. She is the reason why the defending champs are even on life support. Zellous is making every moment count, as she has to fill in for the Fever’s injured guards. She is averaging more than twice her 7.5 PPG from last season. The last time Zellous averaged double digits was during her rookie season in Detroit, when she averaged 11.9 PPG. The Winner: Riquna Williams. Shout out to “The U”! Williams was 2 points away from putting up a 30 burger against Phoenix in an overtime loss this season. She is one of the best off the dribble, Shooting at a high percentage from three-point range. All coming off the bench for the Tulsa Shock. The Winner: Cheryl Reeve. It will come down to the wire. In the East Fred Williams has been superb in Atlanta, Mike Thibault has fueled a fire in Washington, however the West is filled with competition. The Minnesota Lynx have stood out from the rest of the entire WNBA as the best. If the Lynx hold out it will be unanimous. The Lynx are focused on all facets especially at home where they have been undefeated at the midway point. The Winner: Angel McCoughtry. She deserves to be the midseason MVP, however her defensive play is why she outshines the competition. 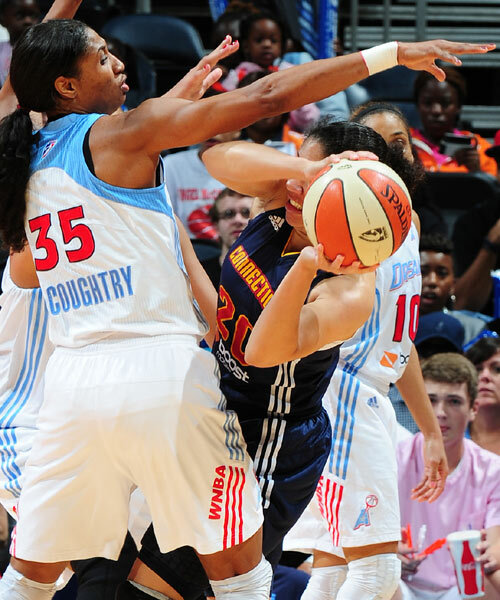 McCoughtry is averaging a league-leading 3.5 steals per game. Her ability to swarm defenders is unlike anyone else in the league; her length allows her to guard anyone on the floor. She has proven she can score, winning the scoring champion award in 2012. The WNBA title is what she is looking to add to the trophy case.